The advertisement is the income source of Android application developers and websites. But many Apps try aggressive methods in advertising by launching interstitial and pop-Ads which makes the user experience really bad. Pop-ups are very annoying, especially when they come during a video or while reading an article. So, today we are here to tell you about some of the best Ad Blocker Free Apps for Android which can help to save your data and battery consumption and these apps allows you to block ads on phone. Recommendation: I highly recommend you not to use Ad Blockers on website and Apps. Ads are the only source of income to bear the expenses of server, Internet, content and team employees. So, try to co-operate with the developers. To block ads on desktops or Mac is very easy as you just have to install a browser extension called ad blocker which will block all the advertisements. But for an Android device, this is not so easy. There are a number of Ad Blocker free Apps for Android which you can use to block ads on phone. But all of the Free Ad Blocker Apps cannot be trusted. So we have personally checked and tested Ad Blocker Apps for Android and created a list for you. If you are looking for some awesome Android apps to block pop up on your phone, you can do the same with the following apps. I am also writing about pop up blocker for Android phone. You need to install any one of these free popup blocker apps and you get rid of the frustrating thing. All Ad Blocker Free Apps are not available on the Google Play Store because such kind of apps violates section 4.4 of the Google Developer Distribution Agreement. 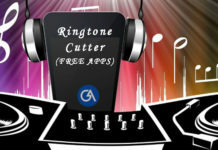 But there is no need to worry as we have provided an official link for all the five mentioned apps. AdAway is an open source ad blocker for Android that allows you to surf the Internet and use Android apps without coming across any type of annoying ads. It uses hosts files for blocking an ad, which means whenever any app requests for an ad then that request will be redirected to 127.0.0.1 i.e. localhost which does nothing and hence blocks the Ad. The only two downsides here is that you need root access. Adblock Browser is an easy to use and a customizable web browser that gives you control over your mobile browsing experience. It helps you to block ads, browse faster, save data and save battery life. It makes it easy to reduce the number of mobile web Ads. 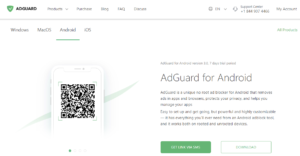 AdGuard is a unique ad blocker for Android that removes ads in apps and browsers. It protects your privacy and helps to manage your apps. It works for both rooted and unrooted devices. Other features include a firewall, phishing and malware protection, increased web page speed, and saves bandwidth. It is available for free, as well as the premium version is also available which runs for $24.99 per year. 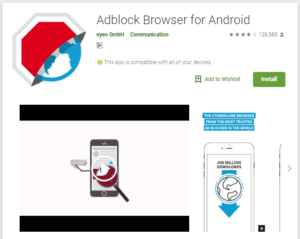 Adblock Plus for Android is an Android app that runs in the background and filters ads. It works on Android version 2.3 and higher for both rooted and non-rooted devices. Adblock Plus prevent your phone from any malware and tracking behind ads. It also helps you in saving your precious data and battery by blocking ads. Block This 3.0 is also a free and Open Source ad blocker for Android that works in all apps and browsers. Block This uses DNS blocking instead of a filter which uses less battery than standard ad blocker apps. It provides the additional benefits of malware protection, increased browsing speed and reduction of mobile data traffic. That’s it, Guys. These are the Best Ad Blocker Free Apps with the help of which you can remove all the annoying and intrusive Ads and Pop-ups on your Android device. 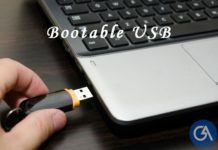 Download and install any one of these according to the requirement and configuration of your device. In case of any queries or suggestion please leave a comment below in the comment section, also write out which app you found out most useful.